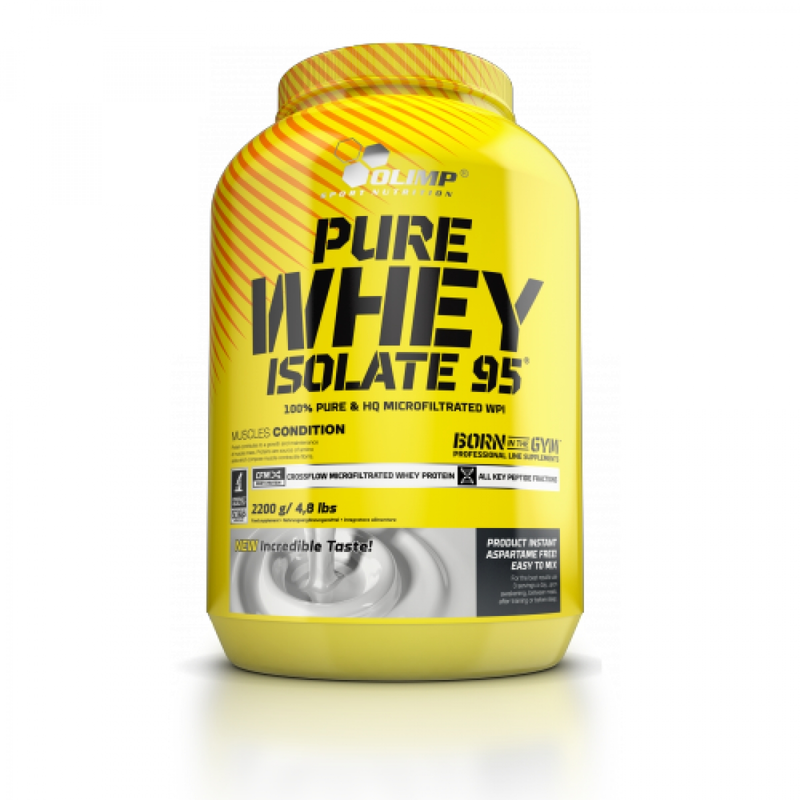 Pure Whey Isolate 95®. 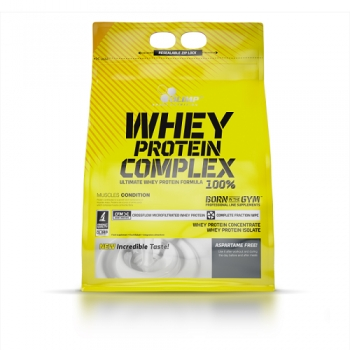 Protein isolate powder, food intended to meet the expenditure of intense muscular effort, especially for sports people, with sweeteners, just add water. 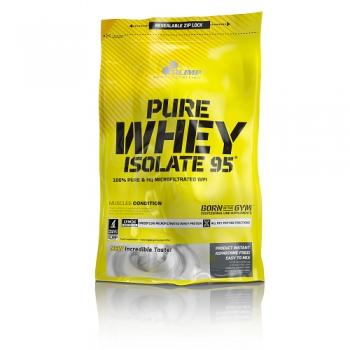 The highest quality, pure isolate of whey proteins (WPI). Proteins contribute to the growth or maintenance of muscle mass. 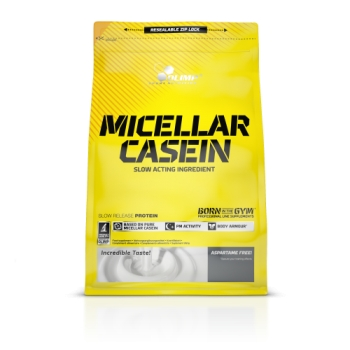 The product is designed for physically active people and sportsmen, who strive for development of muscular strength and mass. 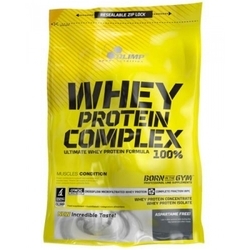 Ingredients: 97,5% whey protein isolate, aromas, acidity regulator – malic acid, thickeners – xanthan, carboxy methyl cellulose; sweeteners - acesulfame K, sucralose; vitamins (L-ascorbic acid – vit. C, dl-alpha-tocopheryl acetate – vit. E, nicotinamide - niacin, D-biotin, retinyl acetate – vit. A, calcium D-pantothenate - pantothenic acid, pyridoxine hydrochloride – vit. B6, cholecalciferol – vit. D, pteroylmonoglutamic acid - folate, thiamin mononitrate - vit. B1, riboflavin – vit. B2, cyanocobalamin – vit. B12), colours: carmine (for strawberry, cherry, strawberry-kiwi, banana-cherry flavours), E 150c (for tiramisu, toffee, chocolate, coffee, ice coffee, hazelnut, cappuccino flavours), riboflavin, E 133 (for pistachio flavour). 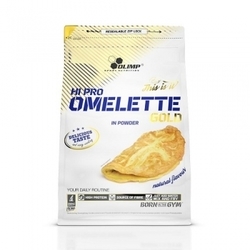 Recommended use: Take 1-3 portions daily with meals - upon awakening, after training and before sleep. Add 1 portion (30 g - 90 measuring units = 3 scoops or 5,5 flat tablespoons) to 100 ml1 of water. Consume directly after preparation. Keep out of reach of children. A varied and balanced diet and a healthy lifestyle are recommended.